Among popular tank plants there are two species with prefix Java. This is Java moss and Java fern. Our article is about the latter. Actually, there are many varieties of Java fern. As a rule they differ from each other in their leaves size and shape, but they are very similar in terms of growing conditions. Therefore everything written here is applicable for other fern kinds. Java fern (Microsorum pteropus) is a tank plant of Polypodiaceae family. In the wild Java fern grows in tropical areas of South-East Asia including island of Java and Philippines. The plant is also encountered in Thailand and China. Bright green lanceolate leaves of Java fern grow each after each on its long rootstock. In a tank the plant growth up to 25-30 cm high and forms thick vegetation. 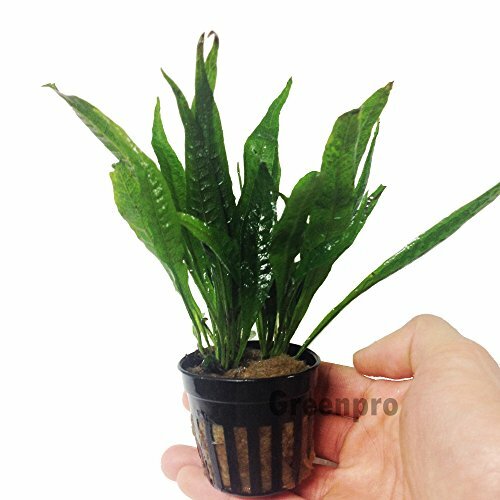 Java fern species are very easy to keep and unlike most of other tank plants, they don’t require any substrate and they will successfully grow without CO2 supply. You can’t dig these plants into the substrate, but you can tie them to stones and snags. It is enough to tie pieces of the fern to a small stone to increase its weight and thus you’ll be able to move the plant around the tank. Besides, all Java fern species possess perfect ornamental properties. They look especially good with snags, that’s why they are often used to create natural aquascapes. Another thing why aquascapers like this plant is its low growth rate – you don’t have to trim and cut it often. Java fern grows well in a tropical tank with water temperature value higher than 24°С. Even provided with optimal tank conditions it grows slowly. And if the water temperature is lower than the specified value, the plant almost stops growing. Water hardness and violent reaction are of high importance for Java fern. Soft water with hardness not more than 6° is the best for the plant. Violent reaction should be neutral or weakly acidic (рН 5,5 – 7). Such conditions usually form in old water. Due to the above mentioned Java fern doesn’t require frequent water renews, since this can even slow down its growth rate. When dwelling in a community tank Java fern feels comfortable when 1/6-1/5 of tank volume is renewed approximately twice a month. To keep Java fern successfully you will need moderate illumination. The plant can stand some shadowing for a long period of time, but at that its growth rate suffers at such conditions. Of course, the most favorable light for the plant is natural scattered one. Light day duration should be not less than 12 hours. As for the substrate, it’s not necessary for Java fern. Its rootstock is always above the substrate and its root system is comparatively poorly developed, therefore silt accumulated on the tank bottom is quite enough for it. That’s why if a tank has a bottom substrate, size of its particles is not significant for these plants. The only thing you should keep in mind when growing Java ferns, is regular fertilization. These plants don’t have ‘true’ roots, they get most of fertilizers from the tank water. If you want your plants to reach the pick of their beauty, don’t forget to add liquid fertilizers after each weekly water renew. 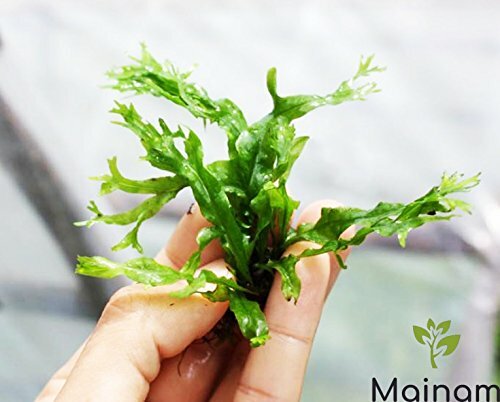 As for the pellet fertilizers, that are put under plant roots, they are almost useless for Java fern – it won’t be able to use them, since it doesn’t have strong root system. When cultivating Java fern you must take into account, that it doesn’t stand any unnecessary disturbance as well as presence of suspended organic particles in the tank water. In a tank with Java fern you should relocate plants and catch fishes as seldom as possible. Intense air blowing, strong water flow and presence of fishes digging the tank bottom essentially decrease Java fern growth rate. In a tank Java fern uses only vegetative reproduction. Its rootstock is divided into several parts with two-three leaves on them. Later a new plant forms from each such part. The second way of vegetative reproduction is when growth buds appear on dying old leaves and soon a new plant develops from them. Difficulty - Easy ready to grow! | Light - Low | Growth - Slow. Photo is not actual plant you get but is a sample of our stock. Safe for your aquarium pets. After final death of the old leaf, the new plants tear away from it and emerge to the water surface. Gradually such a plant develops a rootstock and under the weight of it the latter gets gown to the tank bottom. Java fern feature is that there are very few fish species, that would be tempted to eat it – even those, who are constantly trying to eat all types of tank plants. So, the plant can get on well with large cichlid species and many herbivorous fish species. Coarse leaves make this fern uneatable for most of fishes and it is successfully used in cichlid species tanks together with another stiff-leaved species – Anubias nana.